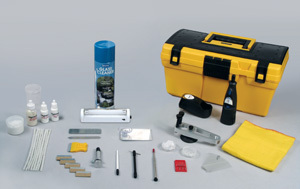 Rightlook.com carries a full line of Windshield Repair Systems, designed to render professional results. Many years of research and development have gone into the design of the Rightlook.com Windshield Repair Systems, which utilizes high quality equipment and the finest resins to repair stone chips, bulls-eye breaks, short cracks, long cracks, and more. Rightlook.com features professional Windshield Repair Packages that include everything you need to get started in the industry. Our proven windshield repair systems and equipment will have you repairing windshield cracks, breaks, and chips in no time. 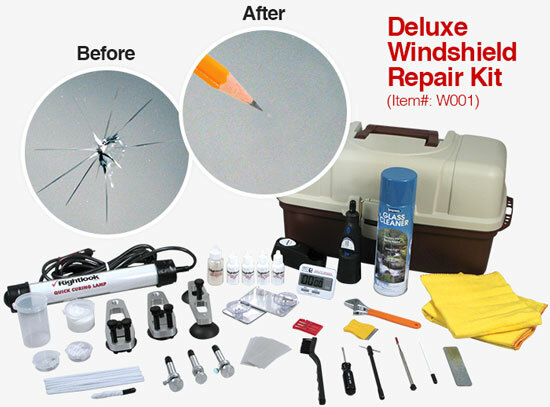 This complete windshield repair system includes everything you need to conduct professional quality repairs on chips, star breaks, bulls-eye breaks and long cracks. With 2 stone chip injectors and 1 long crack injector, this professional system allows you to conduct multiple repairs at one time. This system also features the Rightlook.com Quick Curing Lamp that cures the resin in just 60 seconds. This smaller, more affordable kit includes 1 stone chip injector and is designed to repair chips, star breaks, and bulls-eye breaks. 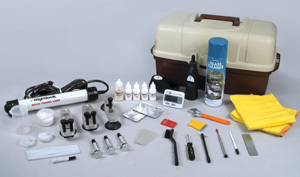 This system includes Rightlook.com’s exclusive Quick Curing Lamp that cures the resin in just 60 seconds. 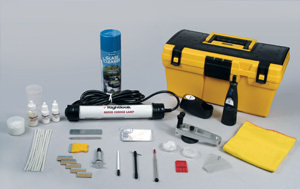 This windshield repair kit is identical to the (W020) kit, but includes the Standard Curing Lamp rather than the Quick Curing Lamp. Request Windshield Repair Training & Equipment Information & Pricing Today!